Yesterday Quest Apartment Hotels opened Quest Innaloo. The 80-room new-build apartment hotel is part of the Stirling Cross development, a mixed-use project with 154 residential and 80 serviced apartments. “Growing our base in Western Australia is a key priority for Quest with two more properties in the pipeline for the next year – Quest Midland and Quest on Mends Street in South Perth. “Stirling is on a solid growth trajectory, in terms of becoming a business centre for surrounding suburbs and Perth more broadly. The WA State Government has already re-located part of its Perth City workforce to the new inner North to aid with the major economic and social development in the area,” said Sanjana. Developed by Fini Group, Quest Innaloo features 80 apartments – a mix of studio, one and two bedroom apartments, all with their own kitchens and access to a business lounge and on-site gym. 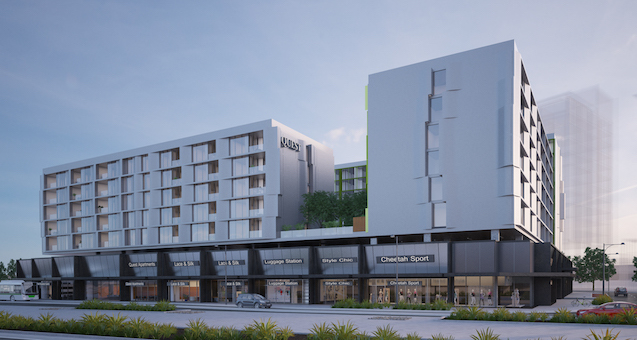 Quest Apartment Hotels has opened seven new properties within the past 12 months including: Quest East Perth, Quest Fremantle (WA), Quest Griffith, Quest Macquarie Park, Quest Newcastle West (NSW), Quest Port Adelaide (SA) and Quest Dandenong Central (VIC). Quest Innaloo is located at 1 Sunray Drive, Innaloo WA.